Flad has been honored with a Celebrate In Design Award from the Wisconsin chapter of the International Interior Design Association (IIDA). 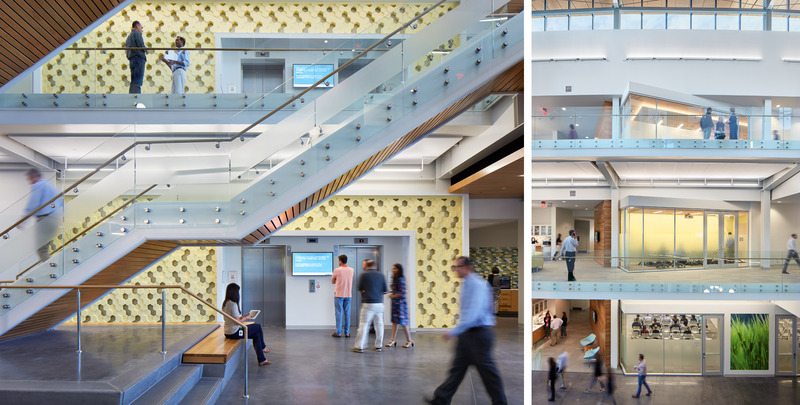 Flad took first in the Corporate Design, Over 25,000 Square Feet category for the Syngenta RTP Innovation Center in Research Triangle Park, NC. The new RTP Innovation Center, which is connected to Syngenta's Advanced Crop Lab, a previous Flad-designed project, consists of a four-story research wing and three-story administration wing that are connected by a four-story "ribbon" of community space running through the center of the complex. A magnet for activity, the atrium is designed to maximize interaction as it flows from the main entry to the courtyard in the center of the campus. 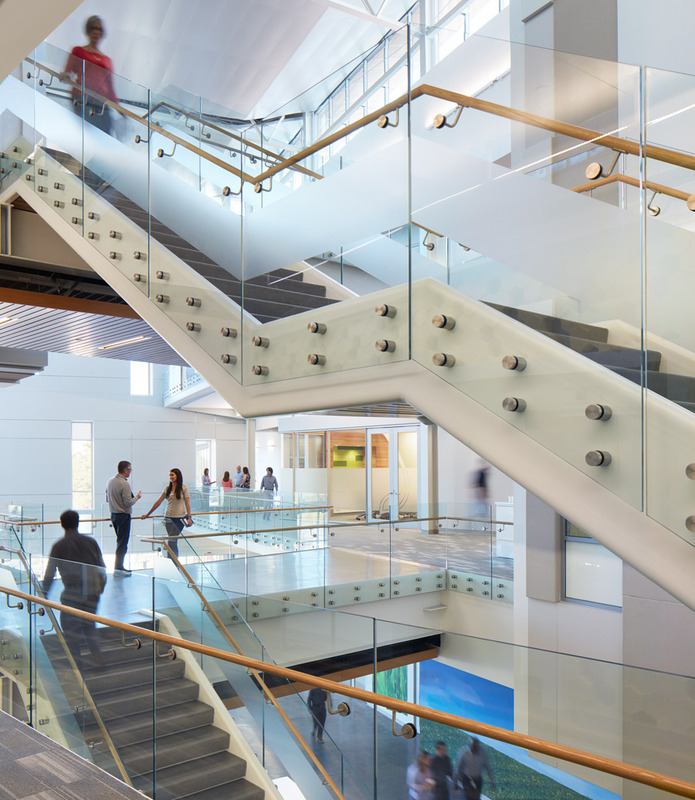 Wood on all open stairs provides warmth, with glass railings wrapping the openings; transparent screens display printed Syngenta imagery; and the elevator walls incorporate a design for display of current and future company patents. Dyed concrete floors are used extensively on the main level community areas, as well as upper-level balconies that surround the atrium. 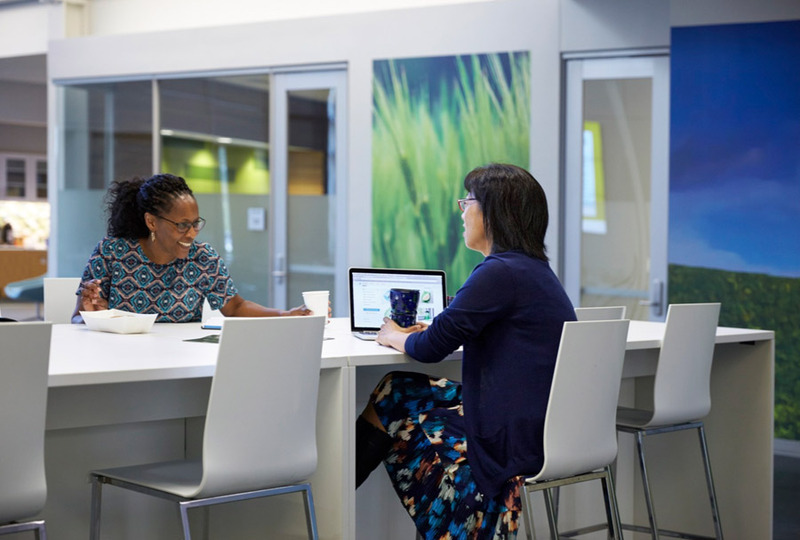 The office environment is designed as a fully open workspace, configured into shared neighborhoods that each enjoy access to the natural light, views, and social buzz of the central atrium. Simple finishes of carpet tile, highly acoustical ceilings, and direct-indirect lighting are used in the office. More visible public areas are enhanced by soft touches of color along with decorative lighting. A full-height glass wall separates open offices from the adjacent lab suite, creating transparency between work zones and allowing daylight to permeate both spaces.